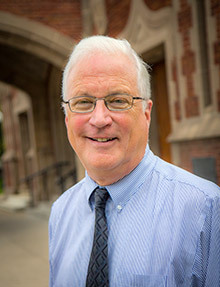 Paul Wadell came to St. Norbert College in 1998, after teaching theology in Chicago for many years. His main areas of interest are Christian ethics and the theology of the church. For several years now, he has been fascinated by the role of friendship in the Christian life and by the virtues, especially as they are presented in the theology of Thomas Aquinas. He grew up in Louisville, Ky., home of the Kentucky Derby, went to high school in a little town in Missouri, and then went back home to Louisville for college. He received his Ph.D. from the University of Notre Dame and still follows the Irish in football. Dr. Wadell enjoys seeing a good movie or play, reading a good novel, seeing a Louisville basketball game or walking with his wife Carmella on the nature trail near his home.